Classes ending in “4” or “9” are in Reunion! Celebrate your friendships, walk your beloved campus, be inspired in the classroom, rekindle your memories, all while discovering what is new at the College and savoring your connection. Please plan on five minutes to complete registration. Click the submit button only once. Call 434.947.8102 if you need assistance. 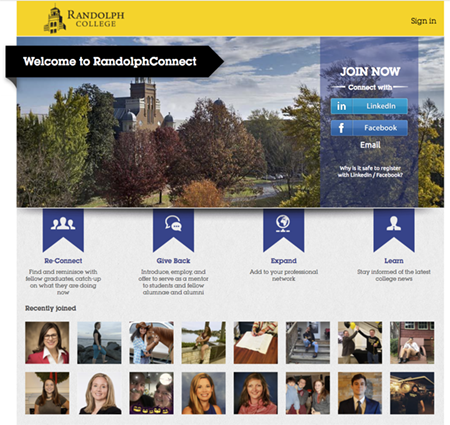 Please join RandolphConnect to join our newest engagement platform and reconnect with your classmates.